So my 2011 outback, with 60K on it, now has some (not lots, but definitely more than I am comfortable with) non-magnetic metal in the oil pan. No glitter though. The pieces are pin head sized or smaller, and more cube than flake. I am sending an oil sample in for review. It developed a very slight vibration and low growl a couple of months ago, but no other symptoms. No increased oil consumption, same gas mileage. You can only hear the growl inside the car. No really, even with the hood open you can't hear it outside. Even inside it is too quiet to be heard with either heater or radio on. I will be taking it in to a subaru indy to see what they say. Any guesses as to what is self-destructing inside my engine? That's interesting. I dunno what non-magnetic metal (aluminum?) 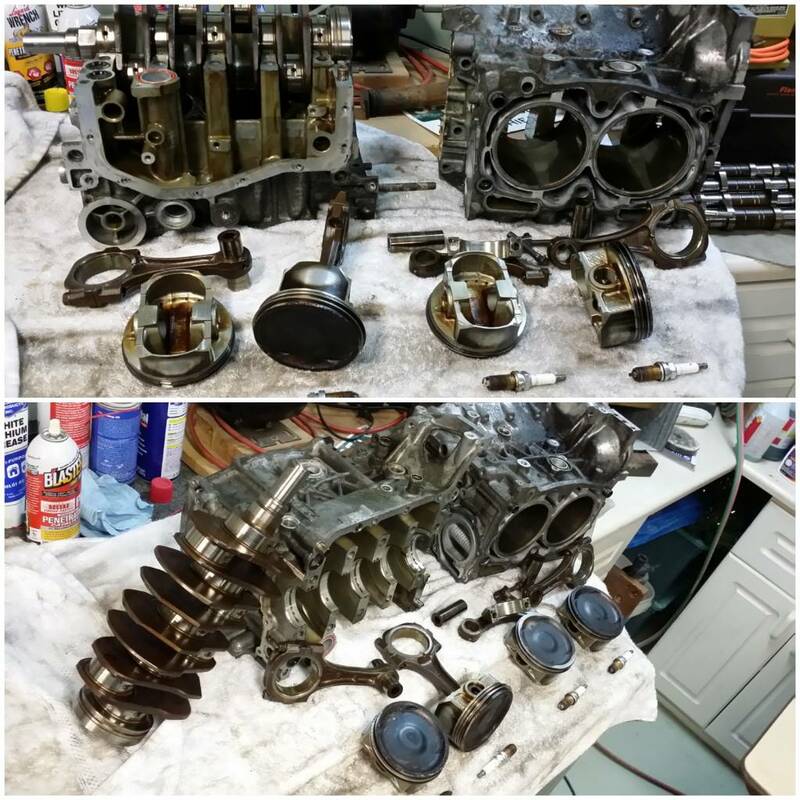 would be breaking down inside your engine and dumping into your pan without the filter picking at least some of it up in the process. I had metallic fine 'sand' in my oil drain pan after my first four oil changes for my F-150 and my Chevy Malibu, but it stopped after that. Never saw anything like you've described. No oil leakage or seepage at your cylinder heads? Is your coolant still looking normal, with no oil in it? From what you've described vibration-wise, it sorta sounds like a harmonic imbalance - maybe something is slowly breaking down & going south internally. The vibration may also be a slight ignition 'miss' that coincidently started recently (still doesn't explain the debris in the pan). I think you're taking the right proactive steps and catching it before it turns critical and possibly leaves you walking. Wish you luck, and I'd like to hear what the mystery material is. of the Canadian maritimes,...you have a new cousin. just to test if the sound you hear is from some accesory's bearing. I never did send the oil in for testing...if figured what the h3ll...where it came from cannot be pin pointed with any accuracy and the car is still running great and not using any excess oil and still averaging 32-34 mpg at 60-62 mph. Suby's have a low growl anyway...but I think ours might be a little over stated too I drive it almost 200km round trip a day to and from work. I will keep driving it until it craps out. I have done two oil changes since the original finding...nothing since. If you find out anything...post here and let me know. Your main rod bearings are getting eaten up. If you don't fix it beforehand, eventually they will become so thin that they spin, blocking the oil port. Then they'll disintegrate completely. You'll begin to hear a slight rod knocking sound first. 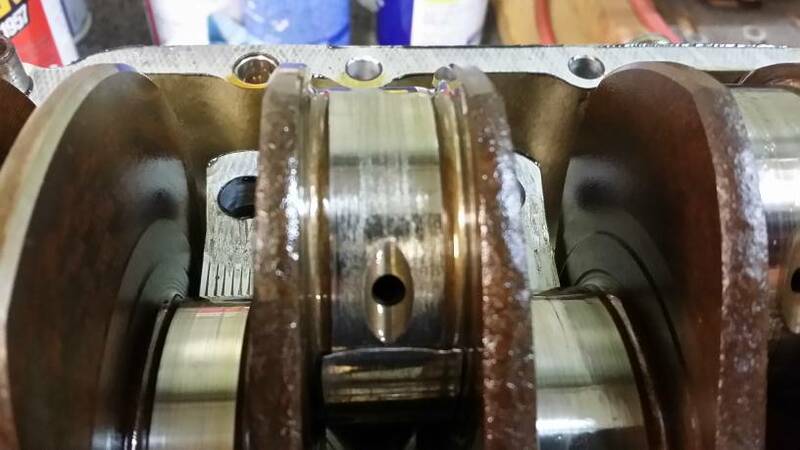 But that won't last very long before the bearing is totally gone and your piston(s) begin slapping the head. If the engine continues running past that point, you'll throw a rod and really be in trouble. Ask me how I know all the above. In my case it was the number 2 cylinder rod bearing journal. ...great...just when I was thinking there was nothing more to worry about...if this is really what’s happening then I will be supremely disappoint with this car. The blown HG at under 60,000 miles was bad enough but I chalked that up to it just being a normal suby problem. Engines should not have this kind of sh1t happen to them. Maintained engines should be good for a couple hundred thousand miles..... Certainly taints the Subaru reliability factor doesn’t it. How many miles was on yours when it crapped out? Honestly, you can stick the metal end of that big screwdriver against the block of the engine to see if the sound is coming from inside. Local indy is leaning towards timing chain tension failure that is causing one of the chains to rub against the block. I should have the oil analysis back this week. I expect the rod bearings are iron, tin and lead. My metal isn't ferrous at all. The good news is that the car is subject to the airbag recall, and for a family of 4, is now a brick anyways. I have already moved the car seats to our Impreza, and I will have to get the summer car out early. 1. almost the entire wire loom. In contrast, I had a 2000 Hyundai Elantra that had NOTHING go wrong in the first 10 years. Nothing. This is beyond the normal maintenance on the car.